We at the Daily Turismo enjoy a good auto race - its probably the only spectator sport that actually gets our hearts pumping and we are particularly fond of vintage racing - modern auto races tend to be parades lead by the teams who have cheated spent more on development with each car being tenths of a second faster than the next. Additionally modern race cars tend to have suspensions with zero travel and don't look like they are going fast because they move so little around the track. This isn't the case with a vintage race as the cars tend to be hugely varied (lots of David & Goliath battles) and they lean like an Italian pleasure ship. 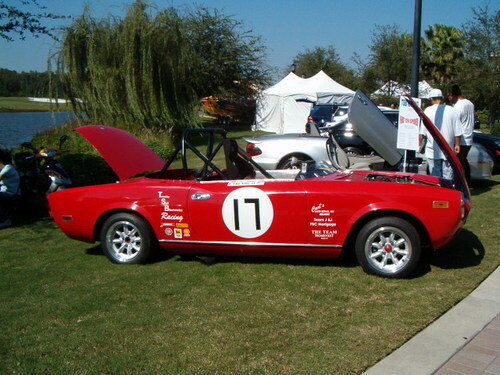 However, getting behind the wheel of a vintage racer often requires Jay Leno levels of resources, so it is refreshing when we see a racer like this Fiat 124 Spyder Vintage Racer for sale in Orlando, FL for $8,750 with 2 days to go, via ebay. 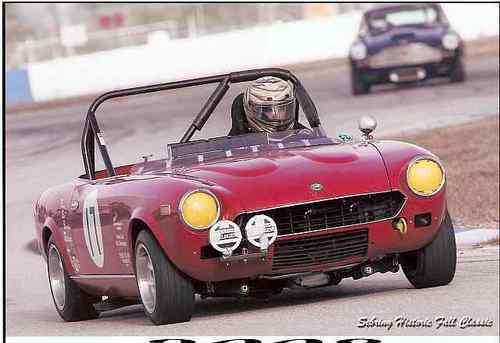 The seller doesn't specify which year this Spyder was originally sold - but it probably doesn't matter unless you are trying to get into some specific vintage club or race. He does mention it is running HSR, VDCA & SVRA so we assume it is between 1966 and 1974 - but Fiat (and later Pinninfarina) built the Sport Spyder thru 1985 virtually unchanged expect for bigger bumpers and interior parts that are now missing on this car. Perhaps a sharp eye'd reader can let us known exactly what year this Fiat was born. 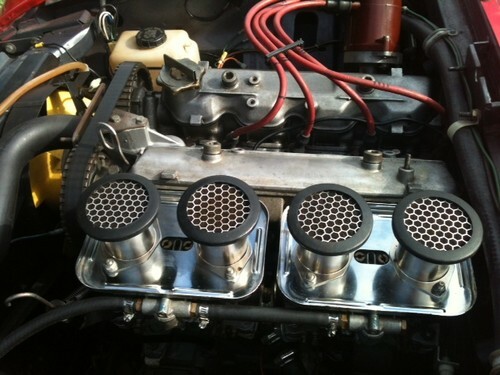 This Fiat is powered by an unspecified displacement (but it should be between 1.4-2.0 liters) inline 4 with dual overhead cams (the 124 was the first car to use the (now ubiquitous) reinforced rubber timing belt instead of a chain) and an aluminum cross flow head - fancy stuff for a street car in the mid 1960s. The seller leaves out some critical info on this build - but we assume its putting out something around 200 horsepower. 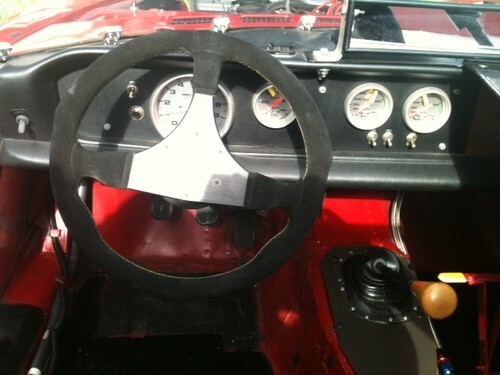 Inside this Fiat is all racing business - some aftermarket gauges and steering wheel along with a roll bar and racing seat. We assume that handling will be great with around a 1500 lb race weight and sticky Toyo R888 rubber. This Fiat comes with a full garage full of spare parts, differentials, gearbox, engine, brake parts, etc. We think that at the current starting bid price it is quite a deal and are surprised to see no bids. The seller does say it isn't street legal, but it is sold with a title -so we wouldn't have a problem with driving this beast on the streets every once in a while. ~ the first dismantled Fiat motor with a Gilmer-belt that saw i thought it was the greatest thing since money. precise and quiet, what a concept! ...until years later my Datsun 210 wagon skipped time. $400 to repair a $600 hoopty. my bad. This would be a great way to go racing. A vintage, italian sports car with no shortage of parts floating around on the market. Plus, it wouldn't be a crime against humanity if it got scuffed-up a little in the name of fun. 10k: 1996 Hummer H1 Limo "Oceans 1"
15k: 1992 Mercedes-Benz 500E W124 "The Hammer"
DT Project Car Update: It's Alive!